Handcrafted for Easy Storage and Endless Play! 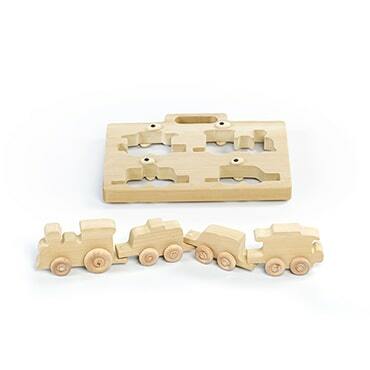 Little ones will love connecting this little wooden train together and pushing it along. Even better, it's designed so they can bring it on-the-go! Just put each train car back in its wooden slot. 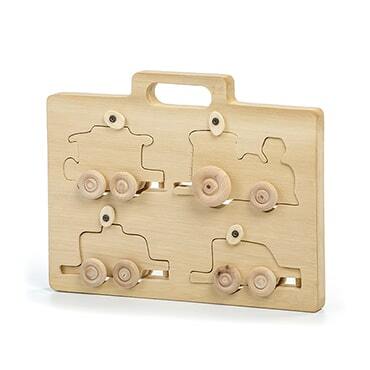 Move the latches down to secure, then carry the whole board by the built-in handle. So well made, you can pass this set down from child to child!